The first comprehensive Polish exhibition of the Austrian artist (b. 1954). We will exhibit his most-acclaimed works such as One Minute Sculptures, as well as sculptures, photographs, objects and video. Side by side with large-scale works, such as the life-sized Truck, or cucumbers cast in bronze, there will appear the man who ‘swallowed the world’. There will also be photographs from the session that the artist produced for the well-known clothes brand Palmers. The client considered the presentation too controversial and rejected it. We will also show works from the series Instructions How to Be Politically Incorrect. In turn videos will provide an ampler presentation of the themes presented at the exhibition. What interests the artist is the mundane, which he approaches, however, in a contrary manner. Wurm’s trademark is the absurd, the surprising, the ephemeral, humour and an attempt to divert the viewer’s thought processes from the beaten track. The part of the exhibition dedicated to the series One Minute Sculptures will be interactive. On the basis of instructions drawn up by the artist and the everyday objects that accompany them, viewers will, momentarily, become a work of art in an exhibition. Erwin Wurm (b. 1954) – lives and works in Limberg (Austria). He studied art history and German literature at the University of Graz (1974–1977), fine art at the Mozarteum in Salzburg (1977–1979) and design (Gestaltungslehre) at the University of Applied Art and Academy of Fine Art in Vienna (1979–1982). In 2013 he received the Grand Austrian State Prize in recognition of being one of the most significant contemporary Austrian artists. 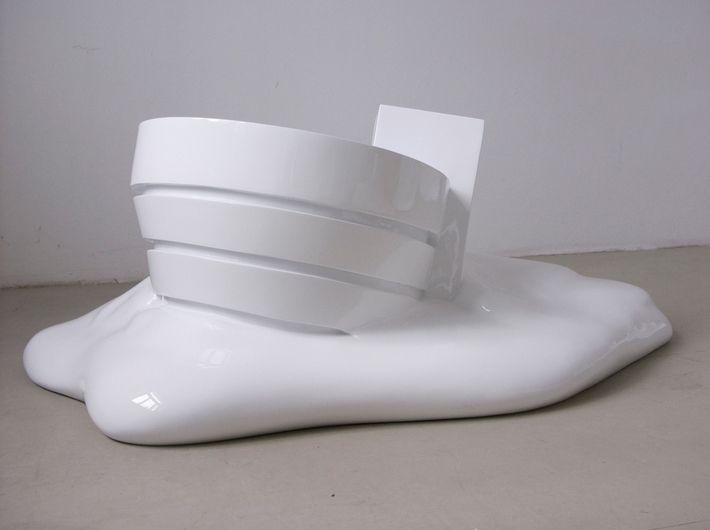 Wurm describes all his works as sculpture, regardless of whether they are photographs, objects, drawings or videos. His works are often produced as variants achieved by altering the mass and volume. 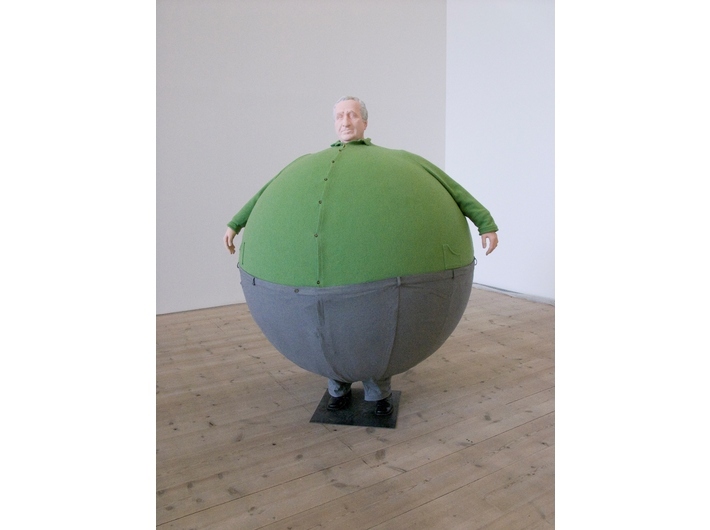 Some of his best known works include One Minute Sculptures, Fat House and Fat Car. In the One Minute Sculptures which the artist has been creating since the 1990s, viewers, following verbal and drawn instructions and employing everyday objects provided by the artist, adopt unusual, absurd and amusing poses, thus making their own bodies into sculptures. 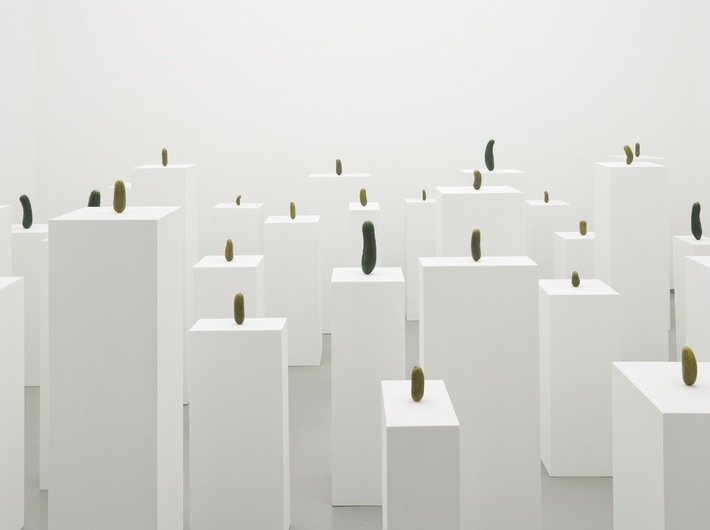 A characteristic of Wurm’s art is the ironic humour that the artist himself refers to as critical cynicism which relies on observing individuals in their multidimensional corporeity. Wurm’s works are frequently anthropomorphic; they are distorted, often overblown images taken from everyday life. Using simple devices, Wurm comments directly on our reality in images whose bluntness is related to the stylistics of the comic strip.